Can Exercise Make Your Child Smarter? Here's the scoop on new research showing that physically fit students achieve higher scores, plus tips to get your child active. Can Mozart Really Make Your Child Smarter? Find out if music really can make your kid smarter. Can Smartphones Make Kids Smarter? But can smartphones really make kids smarter? 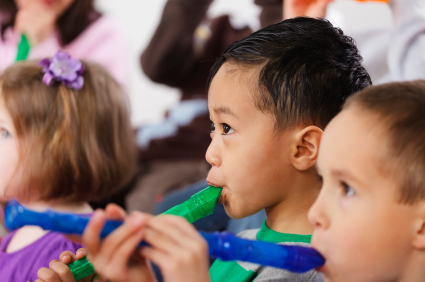 Can Playing Music Make Your Child Smarter? Everyone knows that listening to music can help young minds grow, but recent studies show the act of playing music can actually improve your child's academics. Can Video Games Make Kids Smarter? Does your kid love video games? Believe it or not, some can be educational. Learn how to find video games that are right for your child and even good for him. Here are 10 simple snacks kids can prepare with minimal supervision from mom or dad. Here are some parenting tips to help you help your child make peace. Stamp collecting can teach your child about new countries, cultures, currencies and landmarks. Here's how to get started. Can Special Ed Help Your Child? This is what special education really means, and how it could help your child. Here are some guidelines to help you child make New Year's school resolutions that will last. Is Your Child Getting Enough Physical Education? Here's how you can make sure your child is getting enough physical education. Tryouts for school sports teams and other clubs mean that while some will make the cut, others won't. Here how to help your child if he doesn't get chosen. Should You Praise Your Child for Being "Smart"? Here's how you can encourage your child to do well without praising them the wrong way. There are new studies to suggest that the type of art your child prefers can tell you a lot about her personality. Tweens (children nine to 12) are at a pivotal age for forming and maintaining exercise habits. Here's what parents can do to encourage them. Here are four great ways to turn your child into a punctuation stickler. Theater is suddenly hot, and your child may be showing interest in this year's school play. But do you really want him to be an actor? Your child may not even be aware that she is plagiarizing.But it can score her a failing grade, suspension, or even expulsion from school. And what can learning dinosaurs teach curious kids? Make kindergarten readiness simple! This article lists the 10 kindergarten readiness skills your child needs and how you can help teach them. How can you know if grade-skipping is right for your child? Looking for creative gifts your kids can make themselves? These gifts are as fun to make as they are to receive. Did you know there may be a way to improve your child's reading before he even begins to read? Is your child shy? Could your pushing be causing him anxiety and to withdraw even more? Practical parenting tips on helping your shy child. Your child needs to know that there are consequences to the decisions he makes. Here's how to teach decision-making skills to young kids.